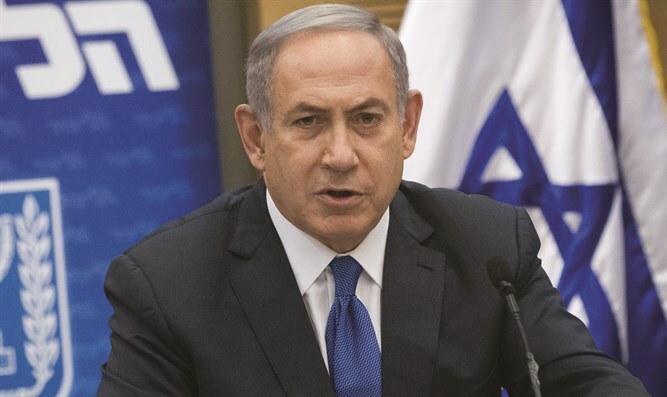 Prime Minister Binyamin Netanyahu rejects the idea that the presence of Jews in Judea and Samaria is an obstacle to peace. The Palestinian Authority leadership’s demand that a Palestinian state be free of Jews is ethnic cleansing, Prime Minister Binyamin Netanyahu said on Friday, and the concept of ethnic cleansing for peace is absurd. Netanyahu’s comments came in a video he released in Hebrew and English and which was also released in a version with Arabic subtitles. “I'm sure many of you have heard the claim that Jewish communities in Judea Samaria, the West Bank, are an obstacle to peace. “I've always been perplexed by this notion. “Because no one would seriously claim that the nearly two million Arabs living inside Israel – that they're an obstacle to peace. That's because they aren't. On the contrary. “Israel's diversity shows its openness and readiness for peace. “Yet the Palestinian leadership actually demands a Palestinian state with one pre-condition: No Jews. “There's a phrase for that: It's called ethnic cleansing. “And this demand is outrageous. It's even more outrageous that the world doesn't find this outrageous. “Some otherwise enlightened countries even promote this outrage. “Ask yourself this: Would you accept ethnic cleansing in your state? A territory without Jews, without Hispanics, without blacks? “Since when is bigotry a foundation for peace? “At this moment, Jewish schoolchildren in Judea Samaria are playing in sandboxes with their friends. “Does their presence make peace impossible? “I think what makes peace impossible is intolerance of others. “Societies that respect all people are the ones that pursue peace. “Societies that demand ethnic cleansing don't pursue peace. “I envision a Middle East where young Arabs and young Jews learn together, work together, live together side by side in peace. “Our region needs more tolerance, not less. “So the next time you hear someone say Jews can't live somewhere, let alone in their ancestral homeland, take a moment to think of the implications. “Ethnic cleansing for peace is absurd.